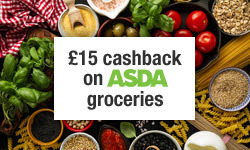 Finding a bargain when shopping makes me as happy as a kid in a sweet shop and having earned over £500 with TopCashback over the last couple of years means I am also a HUGE cashback fan. 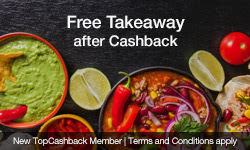 The offers below are perfect for beauty product fans who love a freebie, car owners who wouldn’t say no to £15 worth of free petrol and busy homeowners who would be keen to saving money on their weekly groceries…oh and if you have no interest in cooking – why not enjoy £15 off your next takeaway instead…? Always check the terms and conditions of each deal to see if your purchase qualifies. New users are signed up to a one-month trial of its ‘Plus’ membership – remember to downgrade before the trial is up (which you can do at any time) otherwise you’ll automatically be charged for a year’s membership. 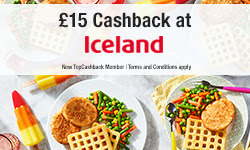 Using discount promo codes found on other sites could mean your cashback may be rejected as they do not always work in conjunction with topcashback. 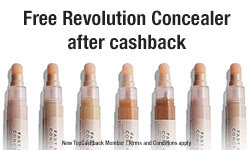 Sign up today and start earning cash back..! 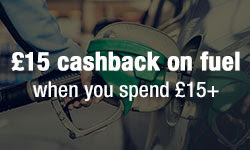 “When you shop online, simply sign in to your TopCashback account and click through to the store you want to shop. By doing this, you will earn cashback on every purchase you make – whether you are booking a holiday, flights or train tickets, buying your groceries, taking out car insurance or choosing gifts for Christmas. It really is one of the best ways to save money at home! Some of the links that are posted on this page may be affiliate links. Previous Post Goodbye October. Hello November.